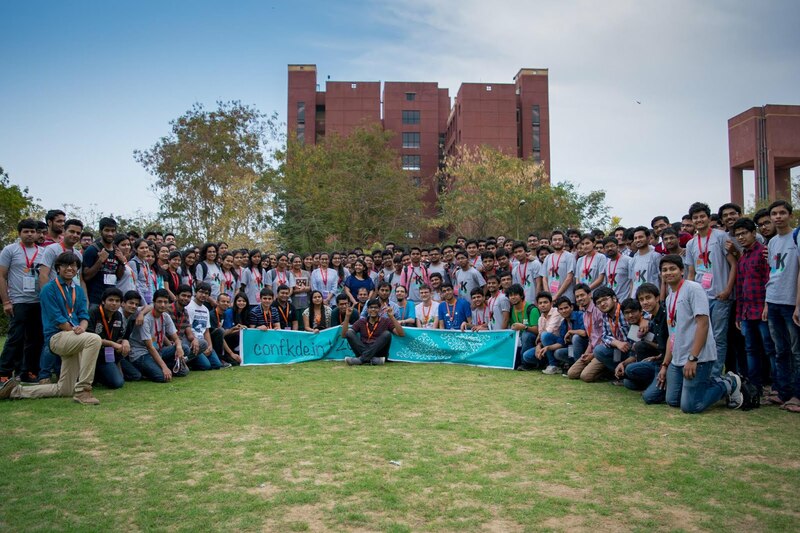 Thank you KDE India for inviting us to share our experience with 250+ budding developers and spreading the knowledge we have acquired during our projects. It was beyond just a meetup, we made many new friends and also learnt a lot from each other. I would also like to thank LNMIIT for hosting such an amazing conference and for the flawless hospitality. The event was very well planned and executed. I hope the participants find all the talks and workshops effective and implement them someday. Though the conference was of only two days but I was able to create hundreds of memories as it was my first FOSS project, first talk, and my first ever meet up of such kind.All the speakers had something inspirational to the audience in their talk, who seem to be enthusiastic too, they had a keen interest in knowing more about things and asked many questions out of curiosity. The evening workshops were the most active session wherein the participants were demonstrated how to use KDE software and implement Git commands.And after the day's activity, the chit-chat sessions at the dinner table were the best part where we were able to know more about each other as how each of us worked on innovative ideas and made through it. At the end of the conference director of LNMIIT presented each of us with a beautiful momento. It was an unforgettable experience.I got to learn lots of things from this conference. I would like to thank each and every person connected with this conference for making it so special and would like to encourage all of my blog readers to participate in such events and contribute to FOSS projects. These are few things you cannot afford to miss. All you need is 1.) interest 2.) idea 3.) amazing organization like KDE and bang! You are almost there.